Man it’s cold. You know it’s cold when the snow starts to squeak like Styrofoam under your boots. It’s so cold here in the burbs of Minneapolis that CFL’s wont light outside and that’s a problem; we need the outdoor lights to be able to find our dog outside at night. A few days ago both of the halogen reflector bulbs burnt out, so I was using some compact fluorescent bulbs as a quick replacement until I could get to the store. 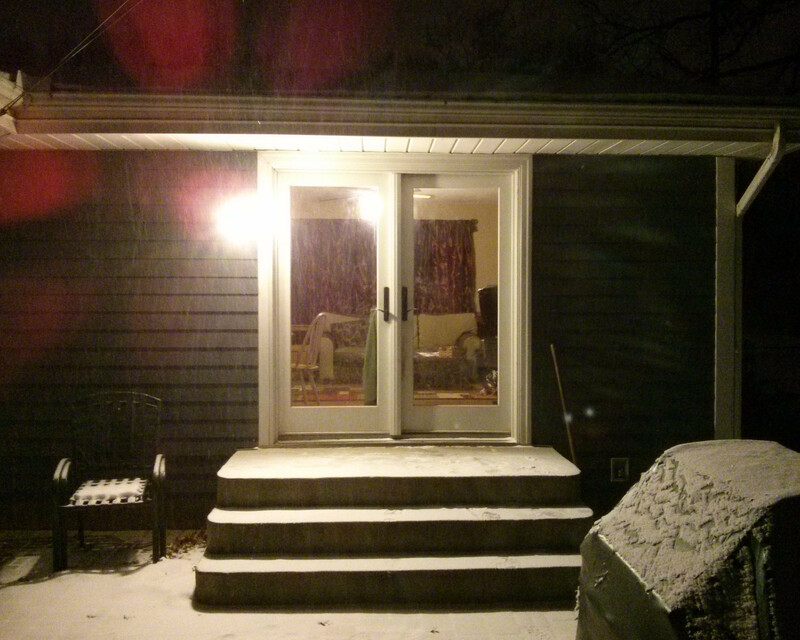 Then the cold snap hit, the temperature dropped to -10°F, and the CFLs wouldn’t turn on. The next day I went to Walmart to spend some Christmas gift money, so I decided I’d check if they had some decently priced LED reflectors. For once Walmart pleasantly surprised me when I found some 65W equivalent bulbs for $11. 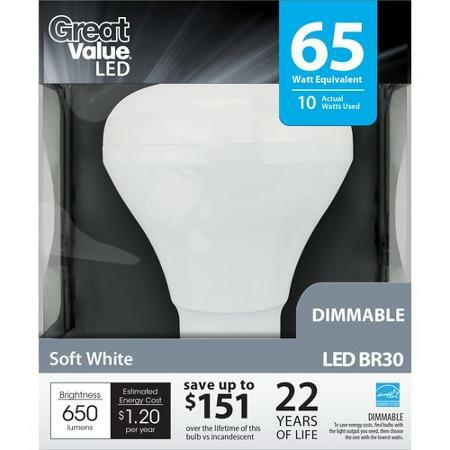 I’ve been watching LED replacement light bulbs for years; while standard 40W and 60W replacements are coming down in price, specialty bulbs are still pretty expensive. So I picked up one and installed it. When night came, I turned it on not expecting much, but it instantly lit up half the yard almost as well as the old halogen reflector, despite the mercury hovering around 0°F. So today I ran back to Walmart to pick up another one. I hadn’t given it much thought when I bought the bulbs; I assumed that an LED bulb wouldn’t have any problems in the cold. So I just looked at the box and the bulb is rated down to -20°F. I also didn’t notice the bulbs are supposedly dimmable, but I really don’t care since I’m using them in an outdoor fixture. I also switched SOME of my exterior CFLs over to LEDs (that I got from BJs for $7 I think), mainly, two in the back yard that we always use when taking the dog out. I changed them because they come on instantly, which made the wife (and me) very happy, instead of waiting for the CFLs to warm up. I left the other light in each fixture as a CFL, because with the two lights I was able to cover the back yard fairly well. Also, nice to see you posting on ToolGuyd! Not only are LEDs not bothered by cold, they’re actually more efficient at cold temperatures. The biggest problems with LEDs are getting too hot, so the thrive in the cold. A lot of refrigerated warehouses are switching over to LED high-bay lighting because between the energy savings and reduced maintenance, the payback is pretty short.